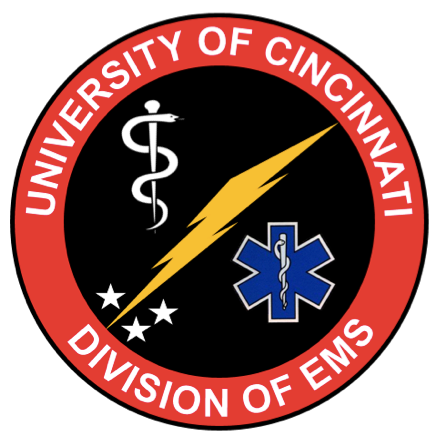 Within the past year, hospitals and EMS agencies in Greater Cincinnati have partnered together with the American Heart Association to standardize care of STEMI patients through the Mission: Lifeline STEMI Accelerator 2 program. This collaboration encompasses 22 hospitals and 150 EMS agencies across 16 counties in Southwest Ohio, Northern Kentucky, and Southeast Indiana. Most EMS providers are familiar with the core principles of this program – pre-hospital ECG acquisition, early cath lab activation, etc. This program, however, standardizes care throughout the entire region to ensure that all STEMI patients are receiving the highest level of care. This initiative also allows us to collect regional data to identify areas where we can make care of our patients even better. One key change in the collection of this data that encompasses EMS providers is the concept of “first medical contact to balloon” time. Everyone has probably heard the term “door to balloon” time. This metric was used to ensure patients were moved quickly to the cath lab once they arrived at a Percutaneous Coronary Intervention (PCI) center. By identifying the first medical contact in this new metric, we can now track the movement of a STEMI patient through the entire health system, not just at the PCI center. This will ensure patients receive definitive care sooner after a STEMI is identified at any point during their encounter in the healthcare system. This places more importance on the EMS provider’s ability to obtain and interpret 12-lead ECG tracings on all patients suspected of suffering an Acute Coronary Syndrome (ACS). This includes any patient with risk factors and/or symptoms consistent with ACS – not just patients complaining of chest pain. It is also important that providers not rely solely on the computer interpretive algorithm to identify STEMI patients. Paramedics need to, on their own, be able to identify STEMI, STEMI equivalents (or Non-STEMI) and STEMI mimics on the ECG to ensure the best use of cath lab resources. With that said, EMS providers should not hesitate to call for cath lab activation when they think they have a STEMI patient. A small number of cath lab activations for patients that turn out to not have a STEMI are necessary to ensure that 100% of true STEMI patients are sent to the cath lab in the most expeditious manner possible. Paramedics will never be scrutinized under this program for calling in a STEMI that turns out to not need the cath lab. EMS is an essential aspect of improving STEMI care through the Mission Lifeline program. And EMS Providers must be vigilant to maintain their ECG interpretation skills to best identify and treat ACS patients.